The 2019 general election might have come and gone with its usual tensed and antagonizing atmosphere. Though the conduct of INEC, security agencies – Military, Political Parties – APC and PDP; the Candidates and their supporters and most interestingly social media activists/influencers/apologists etc. were somewhat ambivalent. It was an intense roller-coaster for many who were genuinely craving a third force that will bring an end to the reign of APCPDP. Sigh. However, my concern today is on the job we expect those we have elected to carry out. 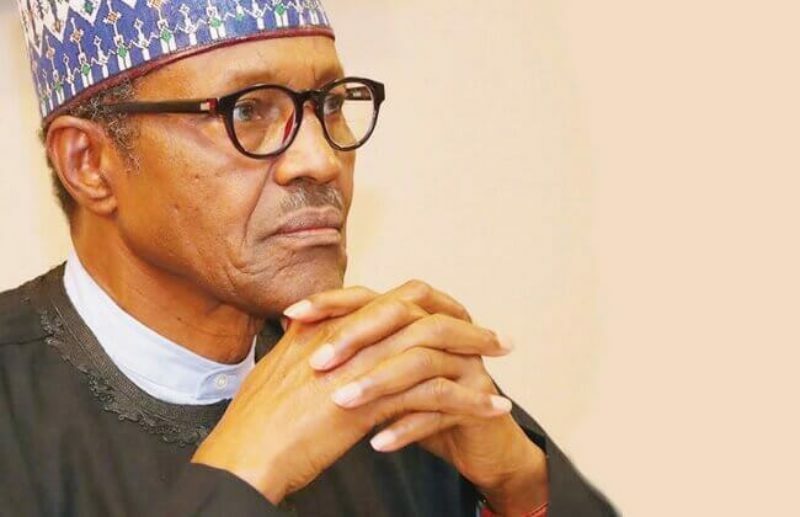 As we prepare for the second term of President Muhammadu Buhari’s government, 29 first/second term State governors tenure and other old and new distinguish Senators, House of Representative and State Houses of Assemblies members legislative term, I can’t help but worry for Nigeria and Nigerians. This is largely because our politicians do not have any real idea of what their Job Description ought to be at such a dire time for Nigeria. For instance the Brexit negotiations/debates has been interesting considering the painstaking effort of the British Parliament, activists, citizens groups/movements and the media to drill and “torture” Therasa May. They have one concern and that is to secure a better deal for the British people to lessen whatever effect UK leaving the European Union will bring. This discourse is also applicable in the United State of America where the Trump administration is under constant scrutiny from the House. In Nigeria, majority of those elected to execute projects, make policies, enact laws and ensure the safety and welfare of Nigerians do not understand the real issues affecting the economy. Or better still do not care about these issues just as long as it doesn’t affect their allowances and other entitlements. Nigerians have reasonable expectations of their leaders which are capped under; provide security of lives and property, employment, standard/quality education and healthcare, improved and stable electricity, availability of fuel and an enabling economy for businesses to thrive. Very basic needs which Nigerians want but do not demand and as such government act lackadaisically in providing these essentials. And the Judiciary balances things out where the need arises – address contrary or contentious issues in the constitution, to all inherent powers and sanctions of a court of law. The job of those we have elected in both the executive and legislative arms at both the federal and state levels are not any different from the job description you and I received when we apply or offered a job in our various professionals. JD as its fondly called is the holy document highlighting what one is expected to do and so much more as the need arises. Yet, in Nigeria these JDs are mysterious for politicians. I might be wrong but don’t you think there is no real JD for our politicians? They seem to just go with the flow during the campaign and tell us 110% of what we want to hear with little details of how they will magically ensure an efficient and effective system that works for the benefit of all Nigerians. Thus my opinion that chapter 2 of the Constitution of the Federal Republic of Nigeria serves as the only recognized Job Description for any elected officials. And seeing that they all take the Oath of Allegiance: “1, ………. Do solemnly swear/affirm that I will be faithful and bear true allegiance to the Federal Republic of Nigeria and that I will preserve, protect and defend the Constitution of the Federal Republic of Nigeria So help me God.” suffices for this “taskful” endeavour. They didn’t swear to uphold all promises made during the campaign, so why do we assume it is binding? There is an immediate change in the countenance of our elected officials: a complete disregard for the safety and welfare of the citizens once they have assumed the position of leadership, we need to reinvent ways to meet our challenges as a people. Prior to President Buhari’s victory in 2015, part of his promise was to put a stop to subsidy payment. 4 years down that road, this government is still paying subsidy. Recent report shows that the NNPC in four years has lost billions without profit. The Petroleum Industry Bill which has been passed by the Senate is still awaiting the passage by House of Representatives and subsequently the assent by the President to become law. If there are contentious issues then it should have been reviewed to allay the fears raised by various fractions. However, very little was said about this during the campaign and the 9th assembly might very well just stall while Nigeria continues to lose money. Nigeria cannot go on as a headless chicken. Do Senators, House of Representatives and House of Assembly members have a Legislative agenda? Have we ever heard them speak of it and how they plan to garner support for various bills that would improve the lives of Nigerians? Every statement ever made as a campaign promise is no better than what is stipulated in the Constitution, specifically in chapter 2 of the constitution. Then why can’t we just demand that elected officials adhere strictly to chapter 2 of the Nigerian Constitution. And the beauty of it is that it covers everything from security, welfare, citizens participation in governance, equality and fairness, fundamental human rights, federal character, enabling environment for trade, abolish corrupt practise and abuse of power, harness the resources for economic prosperity, equal distribution of wealth, adequate medical and health facilities for all persons, education at all levels, develop polices and so much more. But interestingly, the majority don’t know or have read the Constitution or are familiar with Chapter 2. Same applies to the politicians who want to dictate for us. It is safe to say we are an ignorant lot expecting a miracle from each government when we haven’t defined what the job description of our government ought to be. Though the constitution has but we have chosen to ignore it and chase shadows. The Legislators are promising their constituents “stars and a trip to mars”, knowing that they are limited by their JD to execute these tasks. Reason why they hijack constituency projects and implement it as personal donations to the communities. What do Nigerians expect from a Governor turned Senator? I don’t even understand the rational for voting any governor into the Senate. It shows we don’t know what we want as a people and the kind of leaders we deserve as a nation. It is easy for Nigerians to benchmark the government; participate, engage, demand and hold government accountable and ultimately make an informed decision during elections on which candidate to vote. The questions we ask in our interactions with public officials should arise from Chapter 2 of the Constitution of the Federal Republic of Nigeria. Politicians will be forced to sit up and stop the rhetoric. They will diligently study the Constitution and prepare for office having in mind that strict adherence to the Constitution is the yardstick. This might be a tall dream but I want to believe that following the conduct and outcome of the 2019 general election, it is about time we turn the tables on our politicians. Nigerian politicians have been provided the necessary resources – finances, excellent working condition to enable them deliver on the job. It is a job and thus we expect that to whom much is given, much is expected.